Rarely does a new partnership have instant success, but Zheng Siwei and Chen Qingchen did exactly that – winning the mixed doubles event despite this being their first competitive senior tournament. 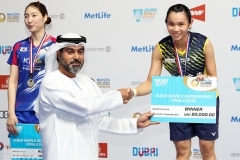 The 17-year-olds were too strong for their Indonesian opponents, with the gulf in ability on show as early as the opening minutes as the Chinese took a 7-0 lead in the opening game. 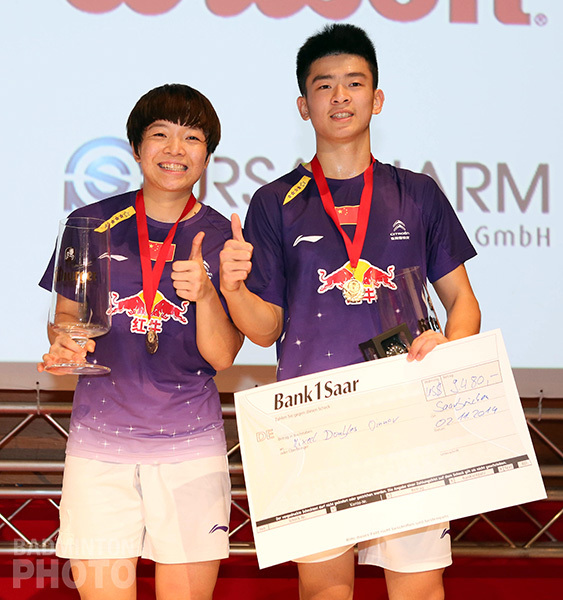 Three of the four players on court are accomplished junior players, with Zheng having won the Asian Junior Championship boys doubles title this year whilst Chen won the girls and mixed doubles titles this year at both the Asian and World Juniors. Alfian Eko Prasetya won the WJC mixed doubles title in 2011 and was runner-up in 2012 also. 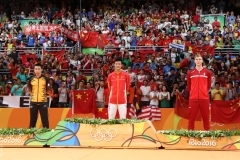 The Chinese pair never trailed in the entire match, winning 21-11, 21-13 in just 24 minutes. 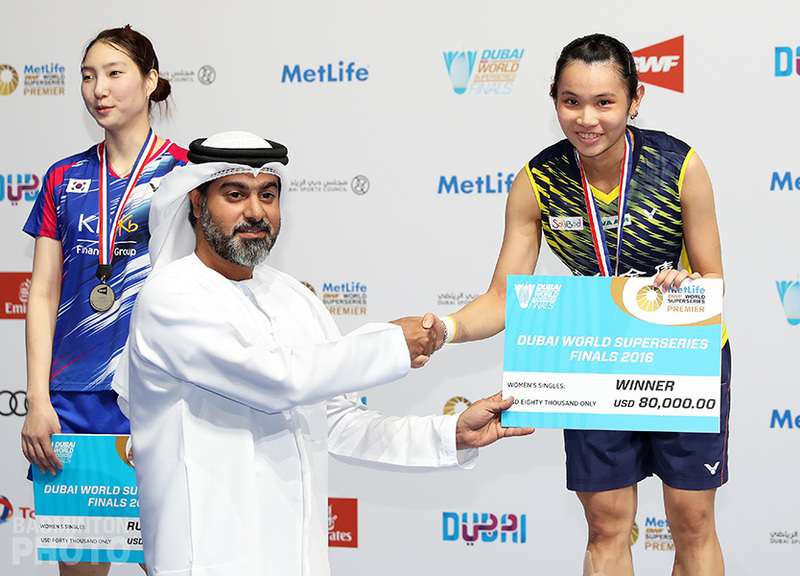 There were three more titles for China, with Sun Yu defeating her team-mate and current Youth Olympic champion He Bingjiao in three games, winning 16-21, 21-15, 21-12 in 66 minutes to open proceedings on finals day. 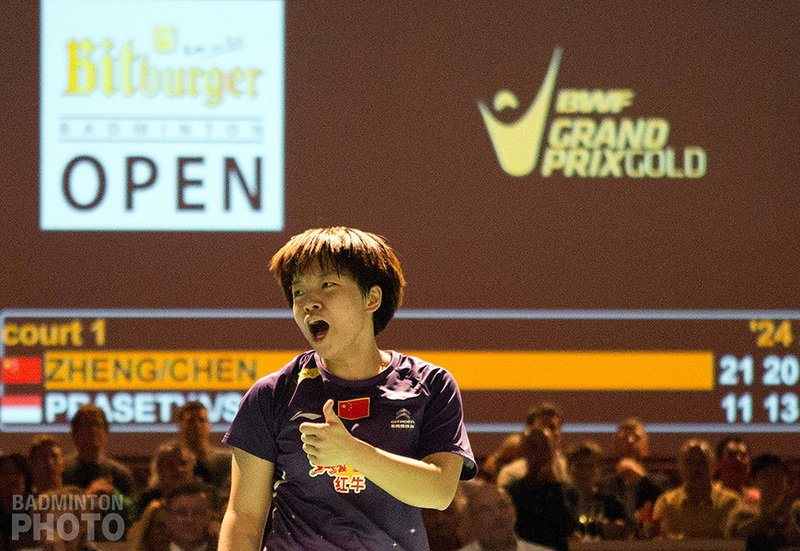 Ou and Yu are the latest in a long line of talented women’s doubles partnerships from China. 21 and 20 years old respectively, the two young ladies defeating their Russian opponents Bolotova and Kosetskava 21-15, 21-15 in just their second tournament together. 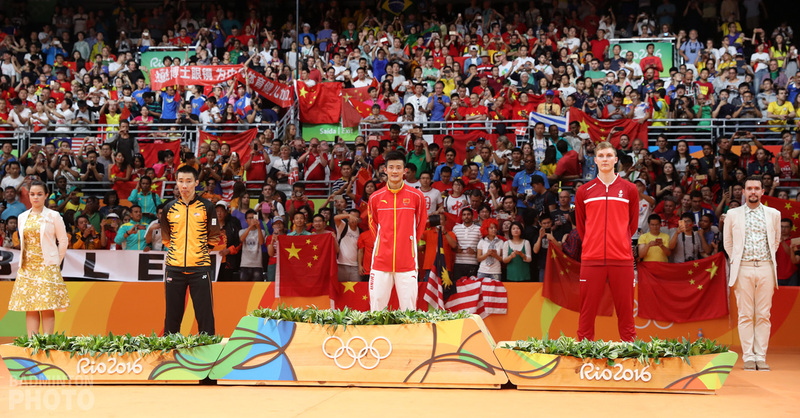 Wang Yilu and Zheng Wen made sure of a four-title haul for China in their men’s doubles match, defeating Anders Skaarup Rasmussen and Kim Astrup Sorensen in two games, winning 21-14, 21-10. 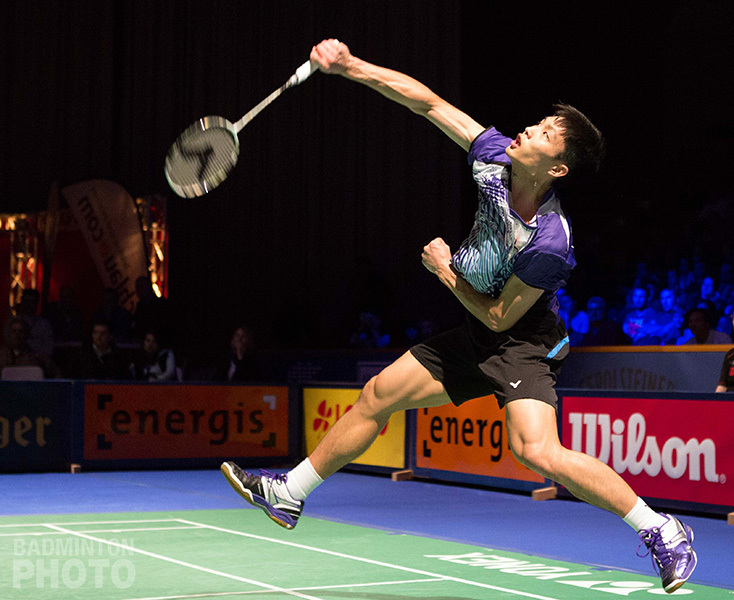 Chen Chou Tien (Credit: Badmintonphoto). 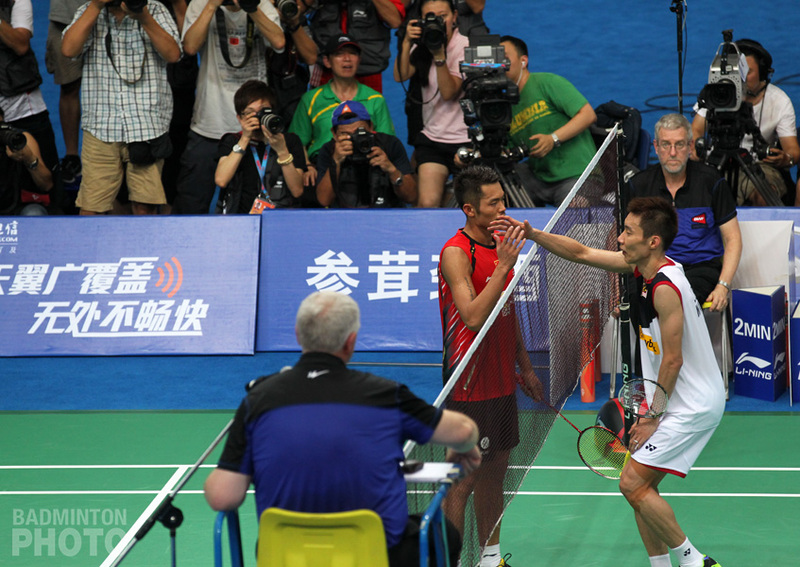 The final match of the day saw the on form Chen Chou Tien taking on Ireland’s Scott Evans. For Evans, this was his first Grand Prix Gold final but took on the two-time defending champion and the most recent Superseries champion from France from the previous week. After a nervy opening from Evans in which he lost the opening four point, his attacking play and some impressive smashes brought him right back into the first game before the defending champion reeled off four points again from 10-9 to 14-9. 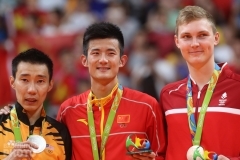 Evans responded with his own run from 11-15 to 14-15 but was unable to seize an opportunity to level the score with Chen Chou Tien winning the opening game 21-17. The second game begun much more positively for the Irishman, but whilst leading 7-3 he opted to leave a drive from his opponent that landed in – much to his disapproval and even asked for the line judged to be replaced. Evans won the next point to make it 8-4 but a remarkable run of 14 unanswered points from Chen Chou Tien took him to within 3 points of the title. Evans put up his last piece of resistance but it was too little too late as the Chinese Taipei retained his title and claimed his second title in two weeks. Scott Evans was obviously disappointed but was upbeat in his interview post-match. The umpiring at the Bitburger was like that of a burger…a sloppy mess.